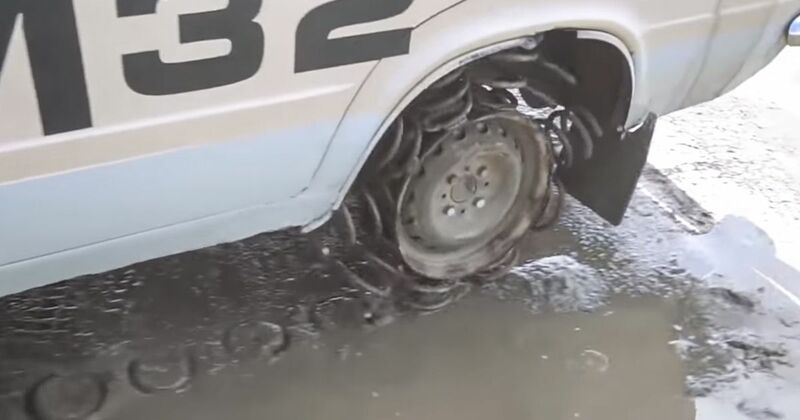 Time for another dip into Garage 54’s weird series of videos focusing on bizarre alternatives to conventional tyres. Recently we’ve seen paper, electrical tape and shoes on ridiculously long spokes. 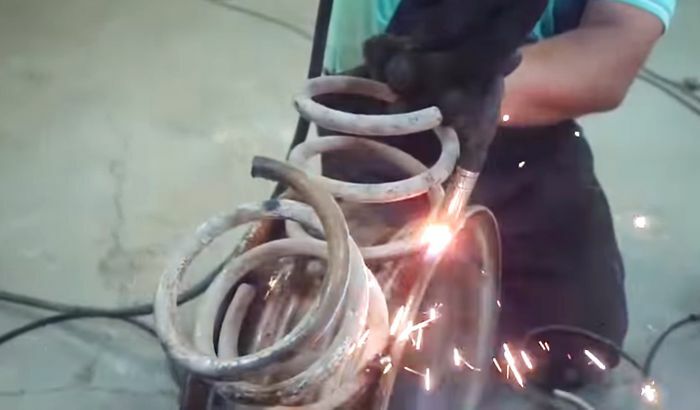 This week it’s the turn of chopped-down coil springs, which get welded to a pair of steel wheel rims and fitted to the rear axle of an otherwise ordinary (i.e. battered and tired) old Lada. Surprisingly enough, they actually work pretty well. Our Russian host reports a vast improvement in ride quality at the back end on the choppy, unsurfaced road we see in the video. Traction from the base of the coils seems useful, too, with the springs compressing just enough to bring two coils into contact with the ground most of the time. On the other hand they’re a bit noisy, apparently, and test speeds only reach the low end of second gear. Still, if there’s a cheap way to make an old Lada more comfortable, Russia needs to know!